Your Help Multiplies Opportunities with the CEPE. Mavis Opoku grew up watching many of her friends and family graduate only to be unsuccessful in finding a job. 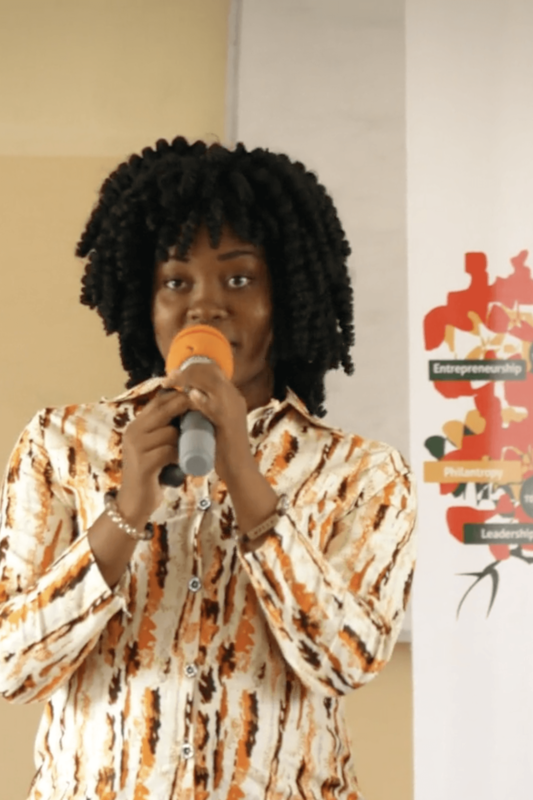 Even though they were educated, bright, and talented, these graduates came face-to-face with a tragic problem in West Africa – the problem of nearly 50% unemployment for young people ages 15-24. So Mavis applied to Heritage Christian College with a goal of becoming an entrepreneur who gives back to society. When I came here to HCC… they instill in us a strong desire to act ethically and be Christian in our dealings. They teach us to… give back to the community. 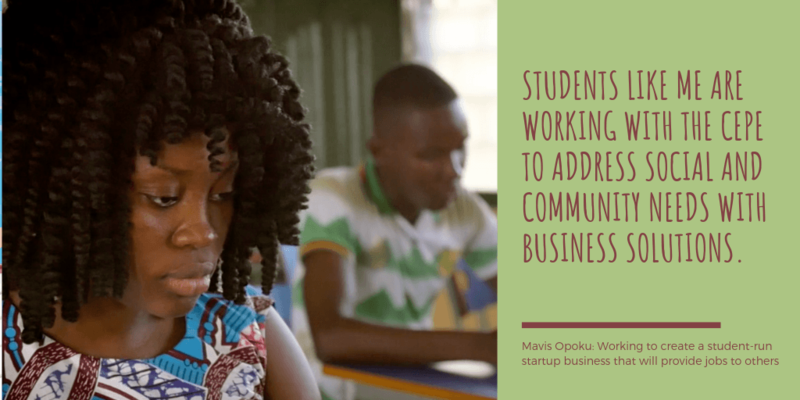 With ethics and philanthropy as goals, Heritage Christian opened “The Center for Entrepreneurship, Philanthropy, and Ethics (CEPE)” in 2018 to help students like Mavis identify a need, and come up with a solution that could be turned into a business. Their ideas are presented to others and receive valuable feedback that refines the ideas. The most feasible ideas are fleshed out into business plans. And the best business plans are funded and green-lighted and become viable businesses, helping the community. Your help will multiply their opportunities to create jobs. The CEPE held a startup business challenge in 2018 for students at HCC. Eight teams emerged as winners and received a combined $26,000 in seed money to help them get their business ideas off the ground. In 2019, students will have another opportunity to compete in the CEPE Startup Challenge and win startup capital. Winning team entries will be vocations for the HCC students and position them in the world as ethical employers for yet other people who are desperately seeking job opportunities. Another team from the CEPE was “Team Charcoal.” Team Charcoal took their startup idea to the international competition in San Diego, Calif., for the “Global Social Innovation Challenge.” Their idea to turn human excrement into an energy source won the grand prize! With your support, the students here at HCC can achieve more impact on their community and across all of West Africa. You can multiply the good work that has begun this year. Our goal is to bring in $75,000 by the end of the year. With these funds applied in 2019, the CEPE will continue to teach business skills, model ethics, and encourage giving back. In 2019 the CEPE plans to support all feasible business ideas generated by HCC members. Imagine the impact on unemployment. Be a multiplier.